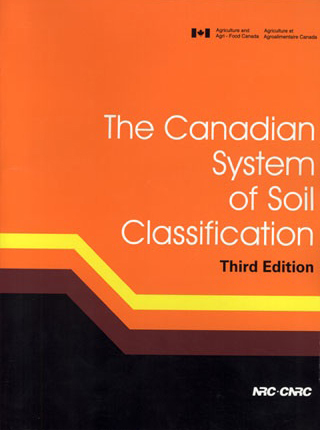 The Canadian System of Soil Classification (3rd Ed, Agriculture and Agri-Food Canada, 1998) contains more detailed explanations of the characteristics of each Order, Great Group and Subgroup, including keys for classifying these soils in the field. These keys are most useful for those with some familiarity with the terminology of soil classification (as introduced throughout the Soils of Canada site) and with some previous field experience. You can access them by clicking on the following link here. The entire Canadian System of Soil Classification manual is available for purchase or download here.